Top 1 – Typical Colon inning. 1-2-3 with a big dent right in the middle. Colon doesn’t look phased. Bot 1 – Cespedes truly is a great athlete. What a great pick-up. Too bad Juan couldn’t bring him in…. Top 2 – Kang down on three pitches. Must be his first at-bat against Colon. I still can’t believe hitters don’t know what Colon will give you. Fastballs, within the vicinity of the strike zone. Alvarez worked a tougher at bat, but Colon strikes him out anyway. Colon looks good, now to score runs…. Bot 2 – Murphy is leading off. He’s batting fifth today. Weird placement, considering his success in the two hole. He got a base hit to right, he could have got two, as Polanco played it deep, but Murphy settled for one. Now “Pops” Cuddyer, who promptly grounds into a double play. Flores gets a more tame applause as he steps up to the plate, and gets a larger one when he shoots a ground ball for a base hit. Now Recker, who is hitless in his last 20 at bats. Anthony takes two pitches inside, possibly walking the power threat for Colon. My theory is validated as Recker promptly walks. Bartolo is up now, and after two pitches, he pops one up to right. On to the third. Top 3 – We need a lockdown inning. Happ not being able to get the bunt down will help; as will Polanco’s fly ball to left field. Colon has a low pitch count today, maybe he can go deep, I really want to see the Mets first complete game come soon. I’d hate to see us finish the season without one. Bot 3 – Nice hits from both Lagares and Grandy, but the inning could not have gone worse from there. Cespedes almost drove Lagares in without having to hit. But Happ fought and got a strikeout. Then, Juan Uribe and Daniel Murphy were quickly retired. None of them drove Lagares in from third. Too bad. 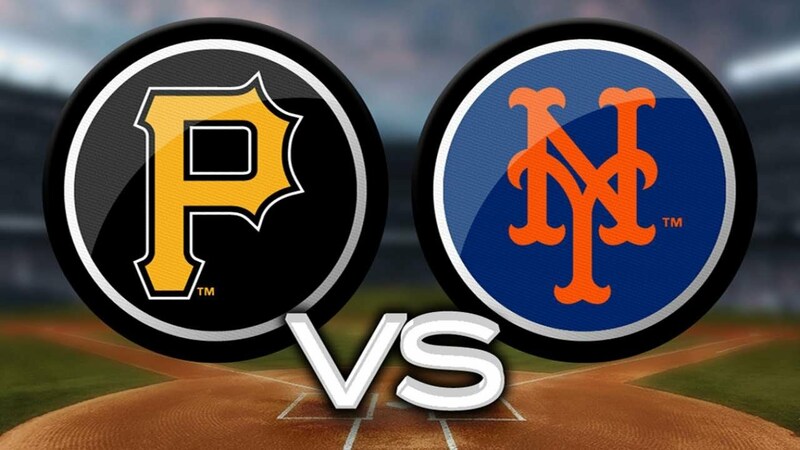 Top 4 – Colon’s walk-less streak is over, as he walks McCutchen. Oh well, if you’re going to walk someone… Colon still looks sharp, through. A fly out gets the Mets the first out, but Kang bloops a single to put runners on the corners with one out. Luckily, a come backer from Pedro Alvarez was converted into a 1-6-3 double play. Good ending to a scary inning. Bot 4 – Really nothing to say about that inning, other than Colon didn’t get a turn at bat! Top 5 – Colon really has to buckle down and have a lockdown inning. This is the time of the game where I either love Colon or dislike him, games slip away from him very easily if hitters start to figure out his predictable nature. Luckily, todays one of those days I love him. A clean inning with only a small blemish. Bot 5 – So Colon strikes out. Now the top of the lineup again. I hope we have the old Juan Lagares back. Maybe it’s just the fact that we’re facing a lot of lefties, but he looks so refreshed and that’s so good to see. Nothing happened in the bottom of the fifth, time to move on to the sixth! Top 6 – Tough pick by Cuddyer. Too bad he didn’t catch in clean, we wouldn’t have to deal with Polanco running. Colon quickly re-bounds with a ground ball to first. HUGE Double Play. Bot 6 – Gone! Double! This offense has been monumentally improved, mostly because of the addition of Cespedes, who now has two home runs as a Met. Top 7 – Colon still strong. I really hope he can give us eight to cap off a great outing. Colon never gets tense under pressure, and that is why he is worth $10 million dollars a year. Bot 9 – Ohhh…. Conforto almost got it out in left field. Now we’re are going to extras. Let’s hope we can cap this game off with a walk off win. This post is being updated throughout the game!